This Saturday, May 7th, 2011, I will be at the Happy Harbor Manning Crossing location drawing sketches for Food Bank donations. I took a few early requests before then and one of them was for Deadpool. So, I hope to see you tomorrow and I’ll be drawing up a Storm (or any other character from the X-Men). 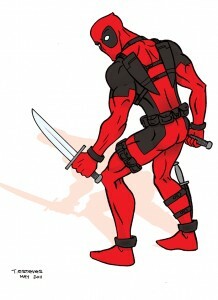 Deadpool belongs to Marvel Comics.